George Brett and Bobby Brett / Brett Sports & Entertainment. The Rancho Cucamonga Quakes are a minor league baseball team in Rancho Cucamonga, California, USA. 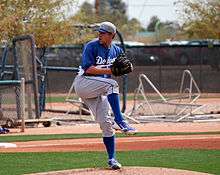 They are a Class A – Advanced team in the California League and a farm team of the Los Angeles Dodgers, their third major league affiliate as the Rancho Cucamonga Quakes. The franchise was founded in Lodi, California in 1966, with its home field as the Tony Zupo Field. 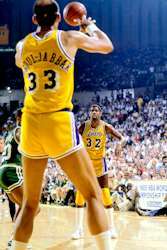 The team then went through several new names and ownership changes. After changing their name from the Spirit to the Quakes in 1993 and moving to Rancho Cucamonga, the team plays its home games at LoanMart Field, where the team has broken a number of seasonal attendance records for their league. In the 2015 season, the Quakes won their second Cal League Championship in franchise history, sweeping the San Jose Giants for their first crown since 1994. After 1984, the Chicago Cubs pulled out of Lodi, and the franchise's owner Michelle Sprague couldn't find a major league affiliate. She deactivated the team for a year, selling to a group including Ken McMullen. 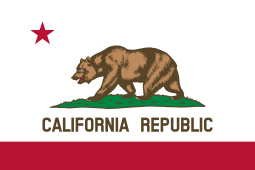 After spending time in Ventura, California under new ownerships (a group of investors including Roy Englebrecht, actor Mark Harmon, and former Quakes' majority owner Hank Stickney), the team moved to San Bernardino and in 1987 and became the San Bernardino Spirit. Ken Griffey, Jr. was among the players that came through Fiscalini Field on their way to the big leagues. In the early 1990s, Stickney was informed by the city of Rancho Cucamonga that they would be breaking ground on a new stadium. Selling the rights to the name the San Bernardino Spirit to a different franchise, the main staff of Stickney's team moved outside the construction zone where the ballpark would be built. Construction started on November 14, 1991. Named "The Quake" after a vote, the stadium was nicknamed the "Epicenter". The team moved into the stadium on April 1, 1993. 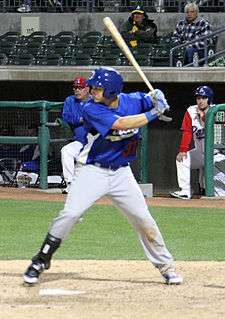 The Rancho Cucamonga Quakes played their first game at the stadium on April 8 against the High Desert Mavericks, winning 7–3. The Quakes won their first California League championship in 1994, defeating the Modesto A's in four games. The Quakes continue to play their home games at the stadium, now renamed LoanMart Field. While the stadium held up to 7000 fans in its first few years of existence, recent renovations in 2014 and 2015 now sees the ballpark hold just over 4900 total fans. During the late 90's and 2000's, the Quakes broke several league attendance records. After being an affiliate of the San Diego Padres for the first eight years in Rancho Cucamonga, the team swapped affiliations with the Lake Elsinore Storm, beginning the 2001 season. For the next ten seasons, the Quakes were affiliated with the Los Angeles Angels of Anaheim. In 2010, its final year of affiliation with the Angels, the team advanced to the California League championship round, losing in extra innings in the fifth and deciding game to the San Jose Giants. After the season, the Quakes once again changed affiliations, joining the Dodgers' system. Television actor Mark Harmon (St. Elsewhere, NCIS) was one of the team's owners until he sold his interest in the team to local businessman Scott Ostlund. Since 2009, the team has been owned and operated by Brett Sports and Entertainment, headed by former Kansas City Royals Hall of Famer George Brett and his brother Bobby Brett. 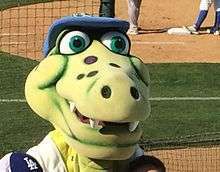 The mascot of the Rancho Cucamonga Quakes is Tremor, the "Rallysaurus". Joe Castellano was the team's first play-by-play announcer; he later moved on to the Triple-A Rochester Red Wings, and now works for XM Satellite Radio on the MLB Home Plate channel. The Quakes are currently in their second year with their current broadcast partner, Fox Sports AM 1350 with Mike Lindskog calling the play-by-play. Fox Sports AM 1350 is a 5,000-watt station in the iHeart Media group. In terms of sponsorships, as of 2015, the team is partnered with Allstar KIA, Loanmart, Budweiser, the California National Guard, Pepsi, and other companies. Derek Lee Only Quake with both a California League & World Series title. 1 2 3 4 5 "Team History". Rancho Cucamonga Quakes. Retrieved 2014-06-27. ↑ "Giants Win in 10 Innings, Take 2010 Title". Rancho Cucamonga Quakes Homepage. September 21, 2010. Retrieved May 22, 2011. ↑ "Quakes and Dodgers Agree to Partnership". Rancho Cucamonga Quakes Homepage. September 28, 2010. Retrieved May 22, 2011. ↑ "Corporate Partners". Rancho Cucamonga Quakes. Retrieved 2014-06-27.